After twenty-two years it really shouldn’t be shocking anymore when Pixar releases another excellent animated film. And yet here we are, with another fantastic, heart-warming, and emotional film under their belt and audiences reap the rewards. 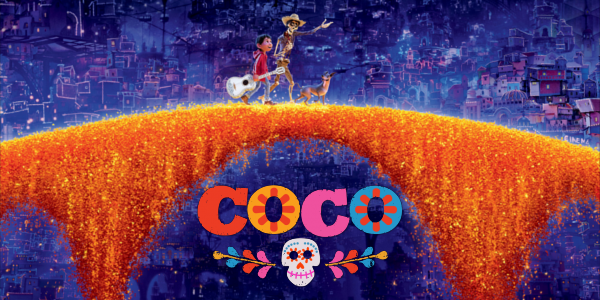 Pixar is always at its best when they get creative, and Coco is pretty inventive and smart in its execution. The film’s success only reiterates just how spectacular Pixar can be. While the plot progression or story beats aren’t wholly original, the story manages to throw in a few twists and turns that veer off the typical lesson the film is using. Coco manages to also feel much bigger than just the events of the film, like there is a history to it all, a world that feels lived in and inhabited before the cameras (or animators in this case) began working. Like in Pixar fashion though, the lesson hits heavy at times, never shying away from emotional moments. The final ten minutes are the classic tear-jerker scenes you’ve come to expect from the studio. It helps that the characters are all extremely likeable in one way or another, with some great voice work as well. Miguel, voiced by Anthony Gonzalez, is just the right amount of stubborn and dreamer that it is easy to root for this kid. Hector, voiced by Gael García Bernal, is by far the standout character here however, making the perfect guide and comic relief for the film. Ernesto de la Cruz, voiced by Benjamin Bratt, is as charismatic as an animated character could be with just enough ego to make him an annoying, but likeable, star. But everyone, across the board, gives some great voice work to make this film what it is. Look, this bares little repeating but I feel I should mention it anyway; the animation is breathtaking. Pixar has nailed a level of detail and texture in their animation that works so well that you’d hard pressed to convince someone that the water or cobblestone aren’t real or tangible in some way. Everyone knows this by now though, just as they know that Pixar’s themes are never short on things for the adults and children. Here the themes are fairly darker, dealing with the Day of the Dead and death in general, but the film never goes too far where it can’t be cut with some emotion or humor. Overall, Coco is another smashing success for the prestigious animation studio. It features all the classic Pixar markers, with a few twists and some catchy soundtrack entries to boot. Coco emerges, to no surprise of course, as a heavy favorite for so many awards in a rather weak year for animation. Even if the year were better, it’d be Coco still coming out on top in most aspects. The film isn’t Pixar’s best, a near impossible task at this point, but it’s another magnificent entry into their impressive filmography. 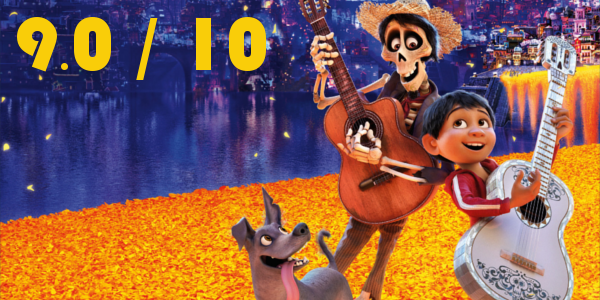 So what did you think of Coco? Have you seen it? Are you interested in seeing it? Share, subscribe, comment below, and as always return to I Am Sam for weekly reviews and insight.